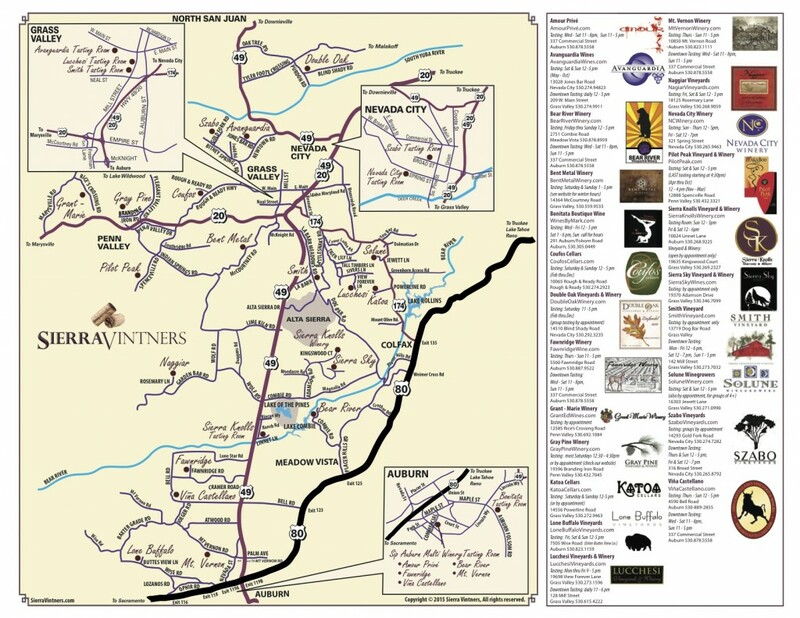 The Sierra Vintners wine region is relaxed and rich in history, nestled within the beauty of the mountains. It surrounds the gold rush towns of Auburn, Grass Valley, Nevada City and Marysville. There you can find fine dining, shopping, art and entertainment, all with plenty of charm. Click on map for larger image.